Michael and Kelsey got married at Dairyland in Snohomish, Washington. Their entire day was filled with rustic details and amazing friends and family. Their wedding day was sunny, clear skies and the most perfect summer day. One of the highlights of their day was definitely their english bulldog, Bruce. Who didn't miss any opportunity to sneak his way into their photos. He made sure he was in all of the critical moments including getting into the dress where he decided to casually take a seat on her train while she got ready, made a grand entrance during the ceremony via a wagon, in their first dance where he plopped down right at their feet during their dance, and even made it to the end of the night where I found him laying with a purple boa around his neck. 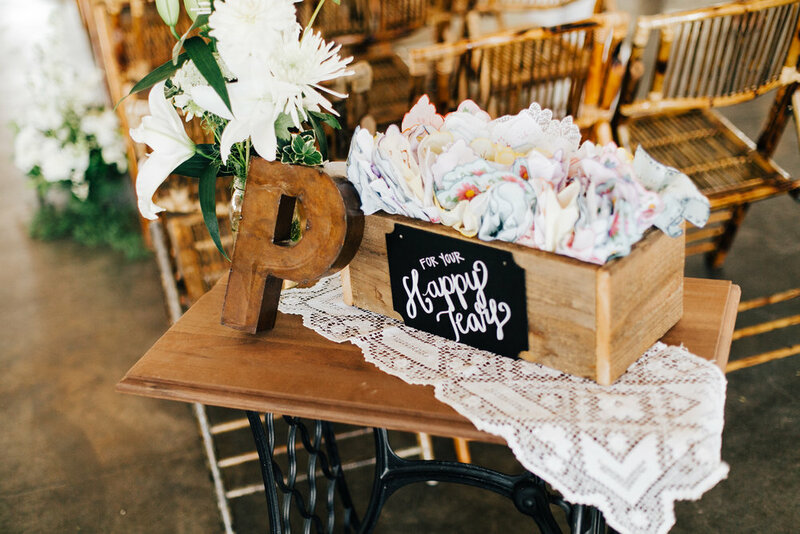 I loved all of the rustic details Kelsey included in her day including the wood farm tables with antique dinnerware, a barn cut out detail card in her stationary, jam wedding favors, and cowboy boots. The yellow couch you see below actually happened to be her grandmother's and she brought it in for the wedding and it was such a cute addition to the venue. The venue itself is a photographer's dream- beautiful big white walls with lots of natural light beautiful places for photos and the cutest string lights. (seriously, the way to my heart is string lights!) There was lots of room for yard games during cocktail hour and a s'mores pit in the evening. There was no shortage of laughs, fun and love at this wedding. A big thank you to Kelsey and Michael who let me be a part of such a fun and beautiful day!! This wedding was featured in Seattle Met Bride and Groom's Winter/Spring 2017 Magazine! A huge shout out to these VENDORS!